Versatility, great tape, freakishly athletic, the Iggles select Lorenzo Carter, OLB/ILB/EDGE, UGA. The Pittsburgh Steelers defense has been at its best in the past decade when it had a good team scheme with decent execution, paired with a joker on D who couldn't easily be countered by offenses. Troy was a guy who could play at three levels of the D, could outrun his mistakes, and generally play in or outside of the scheme to make plays and disrupt. 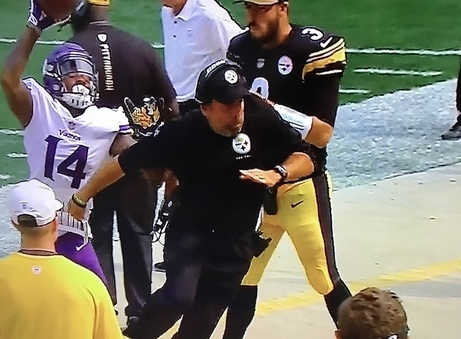 There was a bit of a lull as he lost his burst, and then Shazier came along. Shazier also used superior athleticism to outrun his limitations as a player and, if not the surest tackler, disrupted a ton of plays and made quite a few. Shazier also could run down a screen pass in the backfield, cover a TE anywhere on the field, and blitz effectively. The Steelers, as is always the case in this board draft, face a draft board decimated in terms of safe picks who fit the Steelers needs. I could've had one at a premium price at 28, but I rolled the dice. Might as well keep swinging big. Everyone can say what they want about this player's limitations but I'd like to point out that Troy had plenty of flaws; Shazier has so many that esteemed posters here have been frustrated with him for years. Troy had two hands he hardly ever used when tackling. But he got to plays and disrupted them. Same with Shazier. This D needs that Joker straw to stir the drink. This player was the best player on the field for what could've been a National Champion, he was the best player on the field in his last game vs an extremely good team from the best conference in college football, and he is an unquestioned leader as a human being. If you want old-school football players who bring something on the field and in the locker room/huddle, he's a 5 star in that category. He created a ton of havoc as an undersized rusher, he ran down run plays on the edge, he even lined up 1 on 1 vs KR-speed WRs and carried them down the field-- winning a lot of INTs and PBUs in his career. He averaged 65 tackles, 11 TFL, 6 sacks, 1 INT, 6 PBU, 1 FF, 2 FR per season. 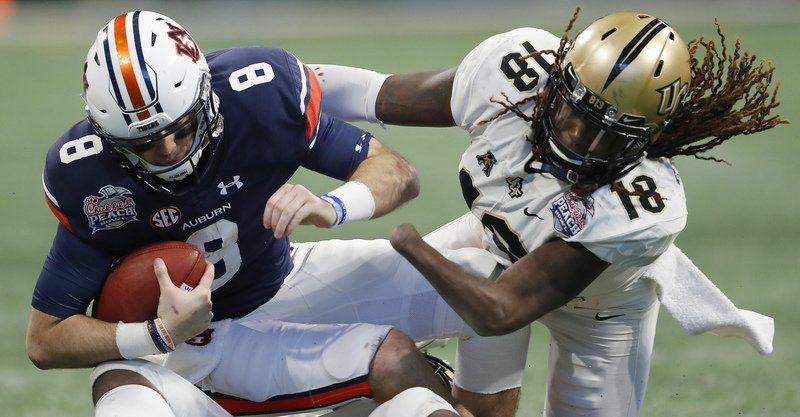 You watch that Auburn tape or the INT vs Temple this year and if this kid is a Day 3 pick, I'm a monkey's uncle. Tampa Bay announced they are having a fan appreciation fundraiser corn roast. All the proceeds benefit charity and the corn is only a buck an ear. The New England Patriots take a white guy. Arizona has traded pick 2.47 to Philadelphia for Nick Foles and pick 4.132. 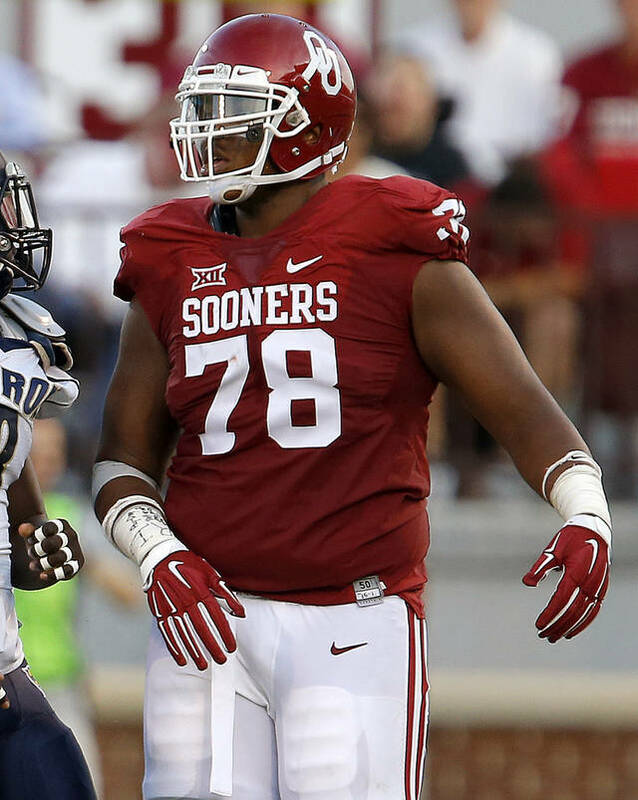 The LA Super Chargers are going to roll the dice, discard the combine numbers thinking the kid just had a bad week, and pick Orlando Brown, Jr., OT, Oklahoma. His former teammate and QB Baker Mayfield said “It’s not about the numbers. If it was about the numbers, I wouldn’t be standing up here. … You can watch last year’s tape and see that he had zero sacks [allowed]. I’d say that’s pretty important for a left tackle.” The Chargers agree and welcome Zeus' son to LA LA Land! Despite the obvious lack of talent, the Ravens' offense still averaged 26.4 pts in the final nine games of the season, which ranked fourth in the NFL. Still, being a HOF tight end, Ravens' GM Ozzie Newsome can't feel too good about his current TE depth chart of Nick Boyle, Maxx Williams, and somebody named Vince Mayle. The Kansas City Chiefs finally get to their first selection....the Chiefs hope that they can strike gold with another linebacker from Texas. 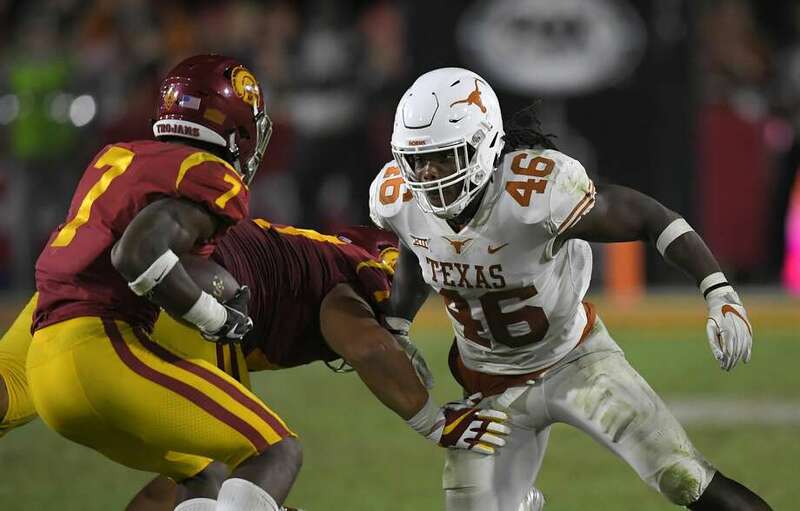 With the 54 pick in the 2018 Steelerfury Mock Draft, the Kansas City Chiefs select Malik Jefferson, ILB, Texas.